The Hotel Kia Ora nestles on a white sand beach shaded by swaying palms, within earshot of the atoll’s crashing ocean waves. 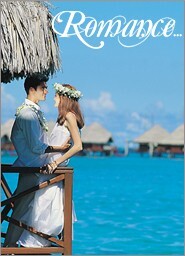 The hotel’s 63 air-conditioned bungalows are scattered in the garden, along the beach and over the water. The deluxe beach bungalows have a private Jacuzzi, and the overwater bungalows feature a glass coffee table where the lagoon becomes your private aquarium. The hotel features an overwater bar, open-air restaurant and freshwater swimming pool. 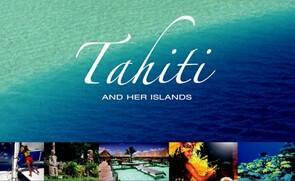 “Kia Ora,” Tahitian for “welcome,” aptly describes this unspoiled paradise. Enchanting bungalows and delightful hosts invite a maximum of ten guests to appreciate the joys of a simpler way of life. An hour’s boat ride from the Hotel Kia Ora, and with no power or phones, the Robinson Crusoe-style remoteness is not for everyone. But if you’re looking to spend a few days with nothing more to do than lie in a hammock, fish, collect shells and wander the endless reef, then this is your bliss. On the banks of the turquoise lagoon, situated in a coconut plantation, the Novotel Rangiroa Beach Resort offers 22 garden rooms, 10 garden bungalows and 6 beach bungalows. All accommodations have air-conditioning, satellite television, direct-dial phone and tea/coffee facilities. The hotel has a restaurant and bar. Beautifully integrated with the sea, this charming resort does Neptune proud. Its 19 overwater fare (with glass lagoon-viewing coffee tables) invite you to snorkel colorful coral gardens, while 22 more beach bungalows languish on sugar-white sands. The restaurant’s terrace opens onto the lagoon, and the bar overlooks a beautiful pool. Boat excursions, motu picnics, fishing, pearl farm visits and the on-site dive club continue the marine theme. Located on a beautiful motu in the Tikehau lagoon, the Pearl Beach Resort offers 16 overwater bungalows and 14 beach bungalows in an informal, tropical paradise setting. The spacious Polynesian-style bungalows have a verandah and are equipped with all the modern facilities including ceiling fan, mini- bar, direct-dial phone and television. The overwater bungalows feature a glass section in the floor. A restaurant and bar are located poolside. This charming beach resort offers just 30 bungalows with lagoon views against a luxuriant plantation of Tiare flowers and fruit trees. The bungalows feature a private terrace, ceiling fan, and all the modern conveniences including telephone and television. The hotel’s lagoonfront bar and restaurant provide spectacular sunset views.